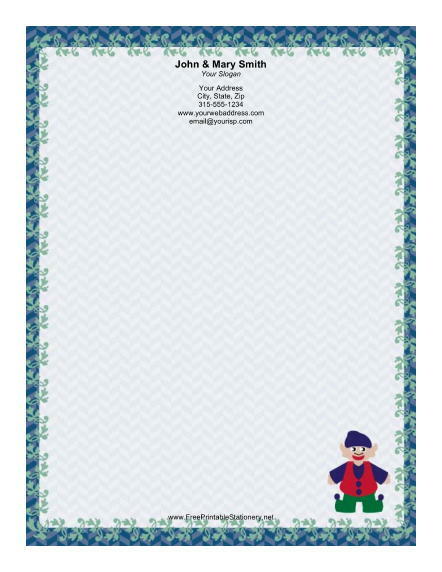 An elf dressed for Christmas in red, green, and blue wears a floppy hat and is surrounded by a blue and green border on this stationery. The fishbone pattern of the border is accented by festive green vines. This classic style is the perfect way to print your Christmas greetings this year.